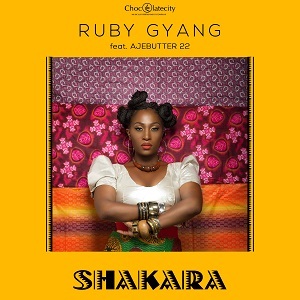 Chocolate City Music presents a brand new single from the Soul RnB Queen Ruby Gyang titled Shakara. Off the much anticipated 'This is Love' EP set for release soon, 'Shakara' features the super talented Ajebutter 22 who definitely brings extra spice to the already groovy tune. Produced by Jude Abaga, Chopstix and Reinhard and mixed by Suka Sounds, 'This is Love' EP is poised to set up Ruby Gyang as one of Africa's finest Soul RnB artist. With her undeniable talent and strength, Ruby shows that African women are taking over the Industry. Listen download and enjoy Ruby Gyang's 'Shakara' featuring Ajebutter 22 as you anticipate 'This is Love' EP.